"I really never knew it and really still don't first hand; you know, like his mouth to my ears, but that recording makes it pretty clear that he -- at the very least -- considers me a 'moron'. And I've been called much worse, believe me. If you do post the recording, I am positive some will simply agree with Mr. Stokes; heck, it could even be a boon to his status in the community. What's funny is, I've really never had anything but a kind word or discussion with the guy. I really do not know how he got to that level of -- what sounds like -- hatred or disdain for me. He seemed religiously upset or something, but the message didn't sound very Christian." 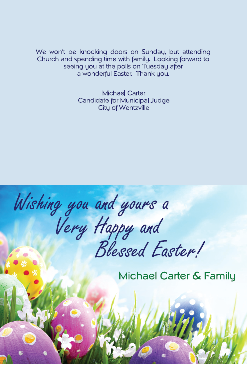 According to sources, Alderman Stokes apparently left the recording below for a journalist or blogger in hopes that s/he would write a story about then judicial candidate Carter's use of an Easter card as a campaign piece during the 2013 municipal election cycle. We will let you be the judge about Mr. Stokes aldermanic tact. Today there is to be a vote on HB1157 which aims to legitimize red-light cameras by making automated camera tickets devoid of points. Points are normally assessed by Missouri's Director of Revenue for moving violations. Missouri's Appellate courts have ruled that current state law dictates points SHALL be assessed for red-light camera violations. Although this "points" issue is not THE ONLY concern of the appellate courts; municipalities and red-light camera companies see the "point" issue as the main one that can jump start their court-stalled camera systems again. Hence HB1157 is being pushed by State Representative Hinson who has taken contributions from at least one red-light camera company. 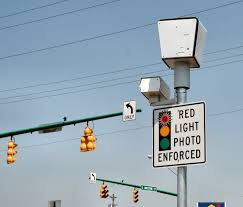 Simply put, House Bill 1157 would make red-light camera tickets non-moving with no points assessed; while leaving officer-written red- light camera tickets as moving violations WITH POINTS. CAN NO ONE SEE THE INHERENT CONFLICT HERE? So, you create two different penalties for the same crime? Among many others, former State Senator Jim Lembke looked into this very issue a few years ago and determined it is very likely unconstitutional to treat defendants of the same crime differently based on nothing other than the method implemented to catch an alleged violator. Again; same crime, different punishments treating equal citizens differently -- simple logic should give ANYONE pause. Equal treatment under our laws is by no means the only issue with HB1157, but that issue is at the heart of the bill. This means that red-light camera ticketing systems will likely be right back in our appellate courts being contested. Please do what YOU the reader of this release can do to bring common sense to Missouri's General Assembly deliberations. Sources say that Representative Hinson has cashed some favor chips in and cajoled Senator Brian Munzlinger into pushing a Missouri Senate version of HB1157. These bills cannot pass. They ignore the fundamental problems with red light cameras and will permanently legitimize camera corruption in this state. Red-light cameras may only be used to enforce violations that occur after the all-red interval or possibly a simple bright line rule that says no camera citations issued for violations occurring during the first 1.5 or 2 seconds of the red phase. This relates to the intricacies of the way intersection signals are timed to ensure that the intersection is completely clear before changing the crossing traffic 's light to green after the other way changed from green to red. Quite frankly, reasonable minds should find such a bill: 1) is fair; 2) is grounded in common-sense; 3) could stem or eliminate corruption and abuse of cameras; 4) will have bi-partisan support; and 5) still achieves public safety goals. finding t-bone (aka right-angle) collisions occur on average 14.1 seconds into the red light phase (with a median of 8.9 seconds) and finding a virtually zero probability of t-bone collisions occurring within the first 4 seconds of the red light phase (see Figure 5.3). RED-LIGHT CAMERAS DO NOT PREVENT OR EVEN AFFECT T-BONE COLLISIONS. Those are the dramatic side impact collisions constantly rolled out by cities and camera vendors. 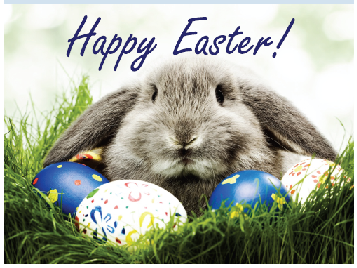 RATHER, T-Bones occur because of distracted driving -- texting, DWI, wild kids in car, dropped cigarettes, and so on. Missouri Red-Light Camera Judge: "Missouri House Bill 1557 Is A Ruse To Legitimize Red-Light Cameras -- Indirect Tax Bill Must Be Killed"
Red-Light Camera Judge warns Missouri State Senators and Representatives that Rep. Hinson Seeks To Raise Taxes; HB1557 Is An Indirect Tax, Says Bill Must Be Killed. "Without a doubt, Missouri House Representative Hinson wants to raise taxes throughout the state of Missouri -- although he may not want to call it that. His House Bill 1557 will allow cities throughout the state to continue to indirectly tax unsuspecting motorists when their cars (regardless of whether they are driving) make a slow right turn on a red-light signal, that's the majority of these camera tickets. And we're not talking a small tax here; Kansas City and St. Louis have already collected TENS OF MILLIONS of DOLLARS," says former red-light camera judge Mike Carter. The former red-light camera judge was in Jefferson city two weeks ago to support another House Bill (HB 1533) that would prohibit the use of red-light cameras to indirectly tax the citizens of Missouri. SHOWing ME what you actually want to do," griped Carter. Carter points out that contracting with out-of-state entities to do the State of Missouri's police work is just the tip of the iceberg as concerns the negatives of automated camera ticketing law enforcement. He points out that he has personally conducted polls of millions of Missouri voters by phone and that the citizens do not like automated-camera law enforcement. Among other things, voters complain that a camera does not allow for a full field of vision when an officer reviews video footage, the cameras are a revenue grab, cameras at intersections make drivers uncomfortable in general, red-light cameras increase rear-end collisions, cameras make drivers nervous as they approach intersections, bright powerful strobe lights shock and interfere with drivers' vision, voters uncomfortable with private entities entering the criminal justice system, there is no meaningful appellate process, they feel the tickets are designed to be a pest that is easier to pay than endure the aggravation of fighting for one's rights, and voters say they are losing respect for their elected representatives. 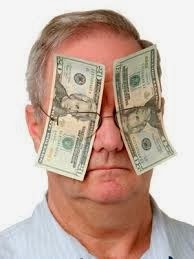 Red light camera and speed camera companies in Missouri are very afraid. In 2006, American Traffic Solutions (ATS) deployed cameras in the city of Arnold in 2006 without waiting for legislative approval, against the advice of the firm's own legal counsel (view legal memo). Now the courts have caught up to the situation. In the past six weeks, the state Court of Appeals has issued four separate opinions finding photo enforcement programs in violation of state law, and local judgeshave issued injunctions. The state Supreme Court is unlikely to be sympathetic, as it struck down the photo ticketing program in Springfield in 2010 (view ruling). The state House Rules Committee will decide later today whether to let ATS off the hook. In light of the situation, some Missouri state lawmakers are doing their best to rescue ATS. After taking a $800 in campaign donations from the company (most recently on December 11), state Representative Dave Hinson (R-St. Clair) introduced a bill that would instantly clear the photo enforcement industry's legal troubles, if enacted. The measure cleared the House Crime Prevention and Public Safety Committee last week and is scheduled for a Rules Committee hearing later today. "Any conviction for an infraction based solely upon evidence obtained from an automated traffic enforcement system shall not have a point value... and no court having jurisdiction over such violations shall forward a record of any plea or finding of guilt of any person in the court for such infraction to the department of revenue," House Bill 1557 states. The ban on the issuance of points overturns the Court of Appeals ruling that found, in the absence of action by the General Assembly, photo tickets were invalid because they do not issue license points. House Bill 1557 is couched in language that appears to limit the use of cameras, which was the technique that photo enforcement lobbyists used in Tennessee to sneak through legislative approval for red light cameras and speed cameras in 2008. Both the state attorney general (view opinion) and Tennessee Court of Appeals (view ruling) found that the "no points" language constituted a legislative blessing for the use of red light cameras and speed cameras that dismissed all legal action against the photo ticketing firms retroactively. Is There Any Remote Chance? Can St. Louis City Be Concerned With Safety? Every single citizen in the St. Louis metro area -- and perhaps the country -- must ask him/herself: "Is there any remote chance that the City of St. Louis is more concerned about actual public safety than revenue?" 4 -- The City of Hazelwood and others WILL NOT dismiss their old red-light camera tickets right now and are putting off court dates until June of 2014. I must say that again -- June of 2014!!!! This is in hopes that our Missouri Supreme Court overrules two Missouri Appellate courts that are in complete unison declaring red-light camera ticket ordinances void. Or, and perhaps more hopeful, that the Missouri legislature will pass new laws that make ticketing a CAR for running a red-light camera legal. Note I said "CAR" and not necessarily the "person" driving; rather, they would ticket the unsuspecting owner. WHY, so the citizens of Hazelwood can be SAVED from red-light camera runners? I confidently assert that any person over the age of 25 can look at the four sample facts above and with his/her life experience deduce what is actually going on here. We cannot blame our representatives for wanting to fill government coffers, but they must be forthright and quit fibbing about their concern for safety and treating their constituents like idiots. AND, to be sure, we CANNOT allow ourselves to be idiots. 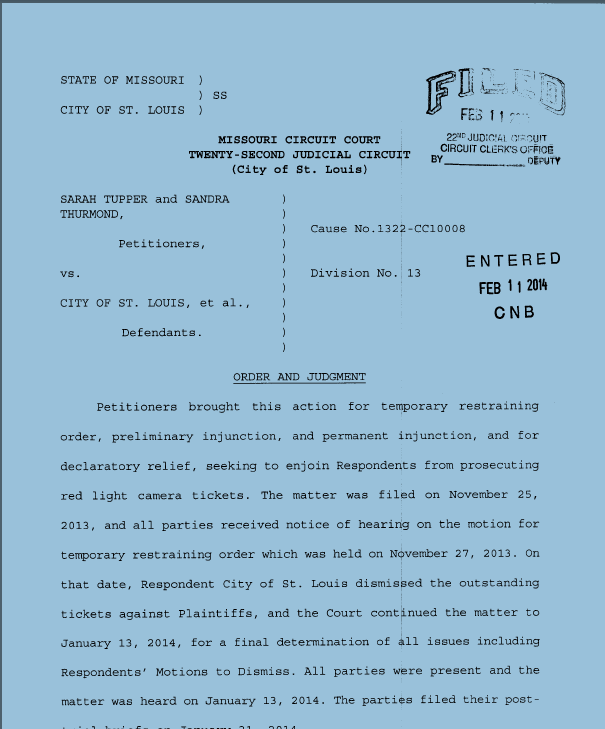 Interestingly, the Missouri Appellate courts have NOW ruled that the cities must turn over their e-mails, memos, letters and other documents so as to possibly catch a glimpse as to what has really been pushing cities' red-light-camera deliberations throughout the state. Judge Orders -- Red-Light Cameras Can Not Operate Any More!!!!! Last night Missouri House Representative Bryan Spencer and former Wentzville Red-Light camera judge Mike Carter testified in front of the Missouri House's Committe on Public Safety. I wanted to express my humble thanks to you for allowing me to discuss representative Spencer's HB1533 with you last night in Jefferson City. The bill is what is right for Missouri -- I know this as a former camera enforcement judge that has seen the injustice of these systems first hand. Chairman, please strongly consider jettisoning HB1557 and moving HB1533 through to the next phase so that Missourians are not indirectly taxed by these non-Missouri entities that have no business being a part of our criminal justice system. It is a money grab from our citizens/voters like none I've ever seen before -- under the guise of safety. Traffic cameras are about as anti-Missouri as any one issue can be. Ban these traffic cameras like the State of Mississippi has done and the many cities across the nation who are bringing them down. Ask around in your districts, your on-the-ground voter/citizens do NOT like traffic cameras . I have personally conducted MILLIONS of automated traffic camera polls in Missouri by telephone (ask Representative Roorda; he tried to hire me). Missouri citizen/voters simply do not approve of such methods and indirect taxation.